Jorge Molina, 21, with Valley Metro Waste places a large trash bin back in place Friday, Aug. 17, 2018, at a location on Owassa Road in Pharr. EDINBURG — The owners of three small companies that haul trash from county residents are worried they may be forced to shut their doors if the county follows through on a proposal to privatize the service. 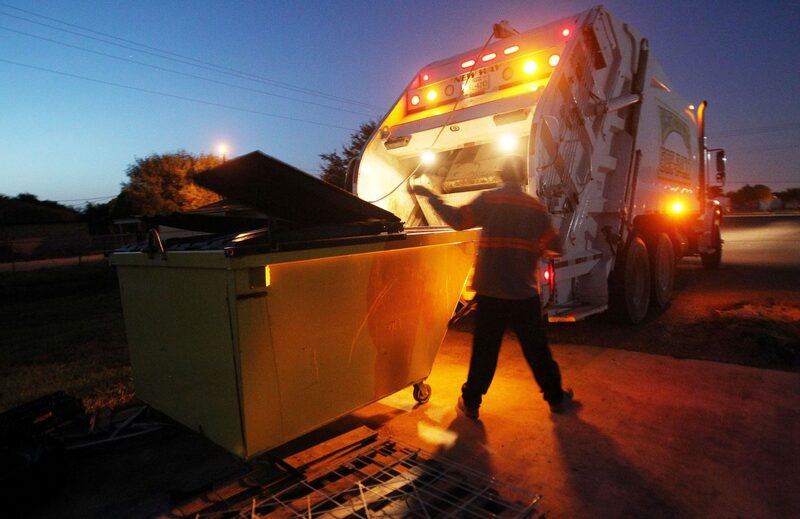 Hidalgo County commissioners put out a request for proposals in May for a solid waste collection program, and based on its language, it appears the county is searching for a contractor equipped to handle the entire scope of the rural area. For the owners of 3A Disposal, All Valley Waste and RGV Metro Waste, the proposal presents a problem. The small businesses — which provide curbside trash pickup for residents living outside city limits — are not big enough to compete for the bid. Jorge Molina,21, with Valley Metro Waste makes sure trash gets inside the truck compactor on Friday, August,17, 2018, in Pharr. County officials, however, contend it’s too early in the process to determine how many companies they will allow to operate in the county if they privatize the system. 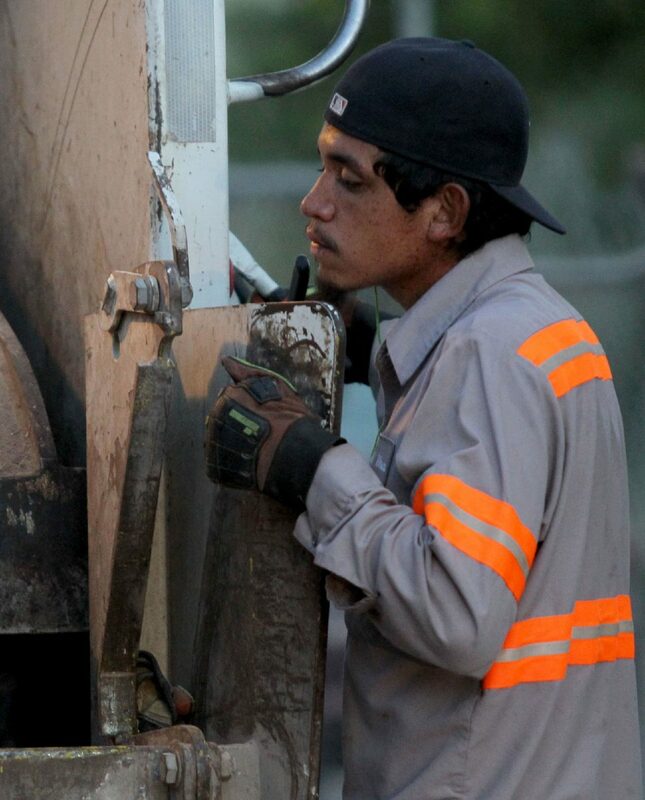 But for Rodolfo Trevino, owner of RGV Metro Waste, the right to make changes is not enough to calm his nerves. The small businesses are no stranger to the issue. In 2013, they successfully fought Hidalgo County commissioners when they first attempted to privatize the system as a cost-saving measure.